During the current year, the institute procured ICPMS, dual block PCR Machines, Plant growth chambers, Autoclave, Refrigerated shacker, microbial identification system (BIOLOG), ELISA Plate Reader, Nanodrop, electronic weight balance, Hot air Oven, Advance Microwave Digestion System. These are in addition to existing equipment like Tetrad PCR, Ultra-low Temperature Freezer, Refrigerated Centrifuge, Chemiluminescence Imaging System and Freeze Drier Lyophilizer. Hyper Spectroradiometer, Atomic Absorption Spectrophotometer, Plant Stress Device, Kjeldahl Digestion and Distillation unit, Guelph Permeameter Kit, GLC System, Flame Photometer, Motorized Sampling Auger, Advanced Photosynthesis System, IR Thermometer, Line Quantum Sensor & Leaf Area Meter, Eddy Covariance System, Bowen Ratio System, Infrared Thermal Imaging System, Real Time Chlorophyll Fluorescence System etc. Thus the laboratories have now capacity to analyse biomolecules, plant photosystem parameters, soil characteristics and to quantify gene expression at transcript and protein level. Plant Genetic Engineering and Molecular Biology (PGEN & Mol. Bio) Laboratory has been developed to carry out basic and strategic research to address plants response to various abiotic stresses. PGEN & Mol. 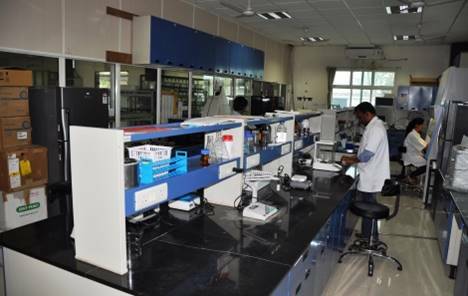 Biology laboratory has facilities for genomics, proteomics and generating transgenic plants. 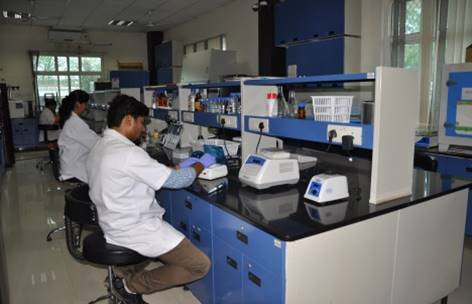 Laboratory is well equipped with PCR cycler, Real-time PCR, Lyophilizer, Ultra-high speed centrifuge, Bio-safety cabinets, Chemiluminescence imaging system, Multimode plate reader for DNA, RNA and protein quantification and ELISA. ROS generated due to various kinds of stresses can also be quantified and measured using this equipment. 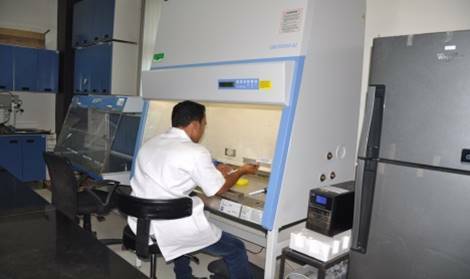 Plant Tissue Culture (PTC) facility was established at NIASM. PTC facility having automated horizontal sterilizers, small growth chambers, walk-in growth chambers for growing/maintaining transgenic/GM/cisgenic/VIGS and RNAi lines.